All our Venetian Blinds are made to measure using top quality components and finished with co-ordinating headrail, bottom rail, braid and cords. All our slats are made from a special aluminium alloy, coated with a high quality polyester based paint, then stove enamelled. This gives an extremely durable finish, designed to withstand humidity, heat and UV light, ensuring the blind retains its colour and finish throughout its working life. 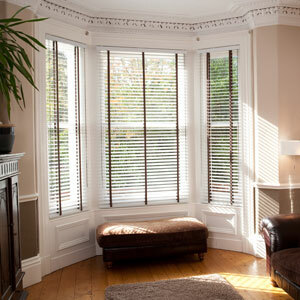 Blinds made with 25mm slats are supplied with a combined cord lock and wand tilter on the right-hand side. Blinds made with 50mm slats are supplied with a cord tilt on the left and cord raise/lower controls to the right. To order blinds with alternative controls please visit one of our stockists.